Well, today, the Assistant Secretary for Planning and Evaluation (ASPE) of the HHS Dept. has released an interesting brief which breaks out these numbers by a variety of different criteria, to see how different groups have fared under the ACA. Their conclusion? Historic gains in health insurance coverage have been achieved since the implementation of the Affordable Care Act (ACA). 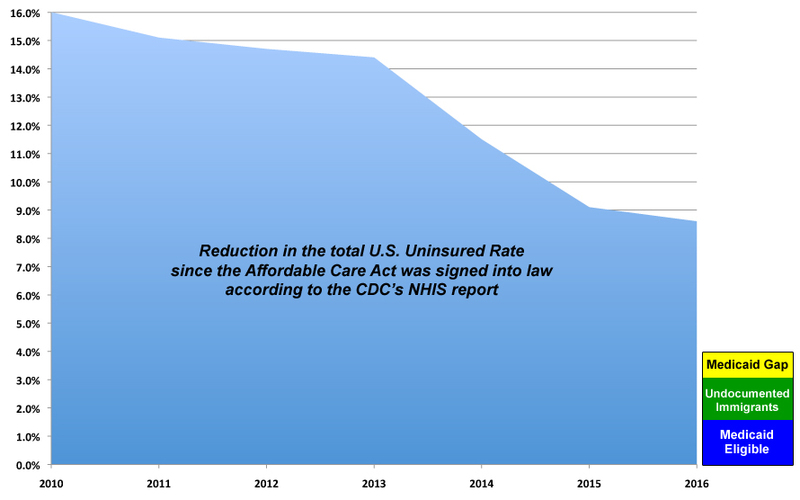 Individuals and families of all income levels, age groups, races and ethnicities, and urban and rural areas have seen substantial reductions in uninsured rates. Coverage expansion provisions of the ACA (i.e., the Health Insurance Marketplace and Medicaid expansion) and reforms in the private market, such as allowing young adults to remain on their parents’ plan until age 26 and requiring insurers to cover individuals with pre-existing health conditions, have worked in concert to reduce the national uninsured rate to a historic low of 8.6 percent. To date, 20 million individuals have gained health coverage as a result of the ACA. Read the whole thing for additional context/explanation.